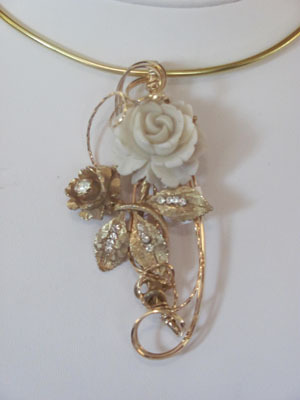 Carved rose pendant sculpted in 14kt gold filled wire. Stunning piece for rose lovers! Measures 2.5'x1.5".